Paris Saint-Germain have confirmed that striker Edinson Cavani and defender Thomas Meunier will miss the Champions League last-16 match against Manchester United. 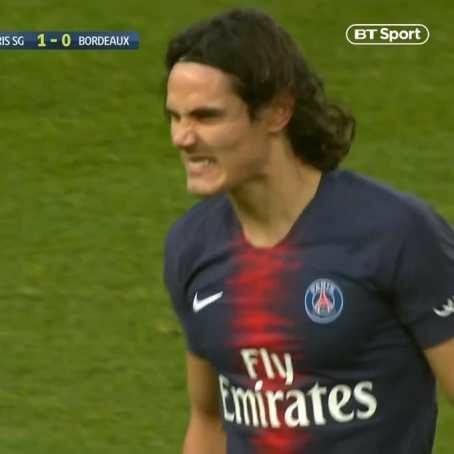 Cavani limped off of PSG’s 1-0 win over Bordeaux with a thigh problem after scoring the match winner. However, The French Ligue 1 Champions have now ruled the Uruguay international out of the match. “The examinations carried out revealed a lesion of a tendon on the right hip,” a statement from the club read. PSG are also without injured Neymar Jr and Thomas Meunier for the crucial Tuesday night clash. MySportDab report Cavani was replaced by Kylian Mbappe in the Bordeaux matchand will return to his place in the starting XI in the Champions League. With two members of their star trio missing, Tuchel is worried they must change their strategyfor the meeting with Ole Gunnar Solskjaer’s team. “Without [Neymar], maybe without Marco, maybe without [Cavani], now we need a plan D,” he told reporters. Will Victor Moses retirement affect Nigeria's AFCON qualification?